What payment methods does COD product support? 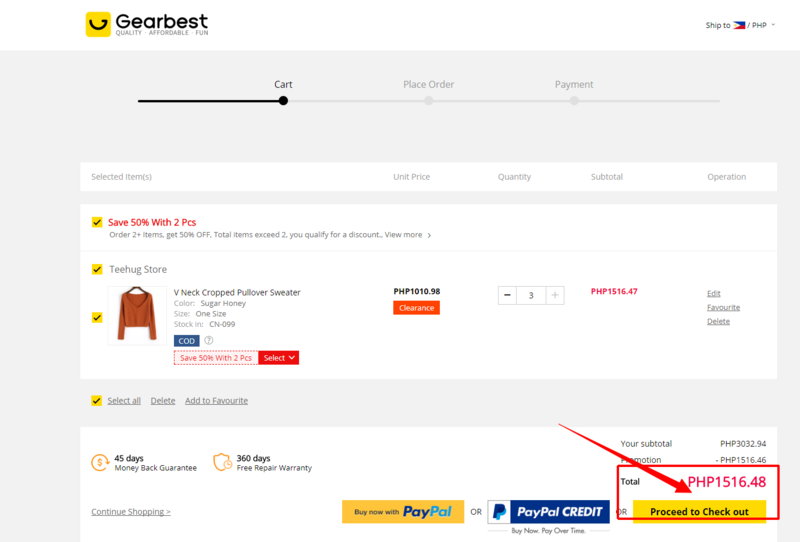 The GearBest COD products only support payment in cash (peso). You can select COD payments only for the products showing a COD tag. Step2: Click the botton "view cart" in the corner of right. Step3: Click the botton "Proceed to Check out" in the page of cart. And click the botton following "To Edit Address", continue to fill your information delivery. 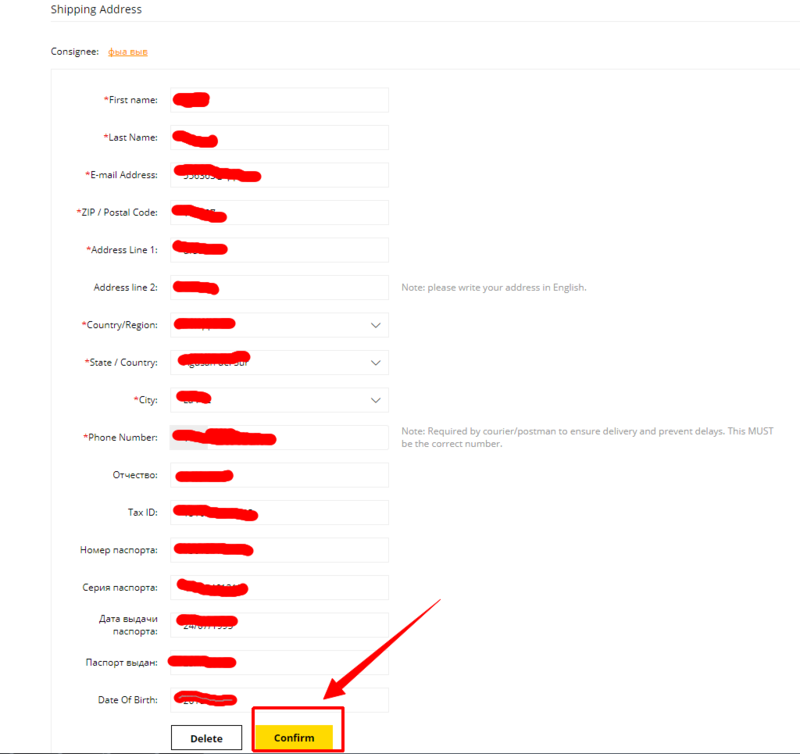 Step4: Fill your information delivery and click "confirm" to make your order. 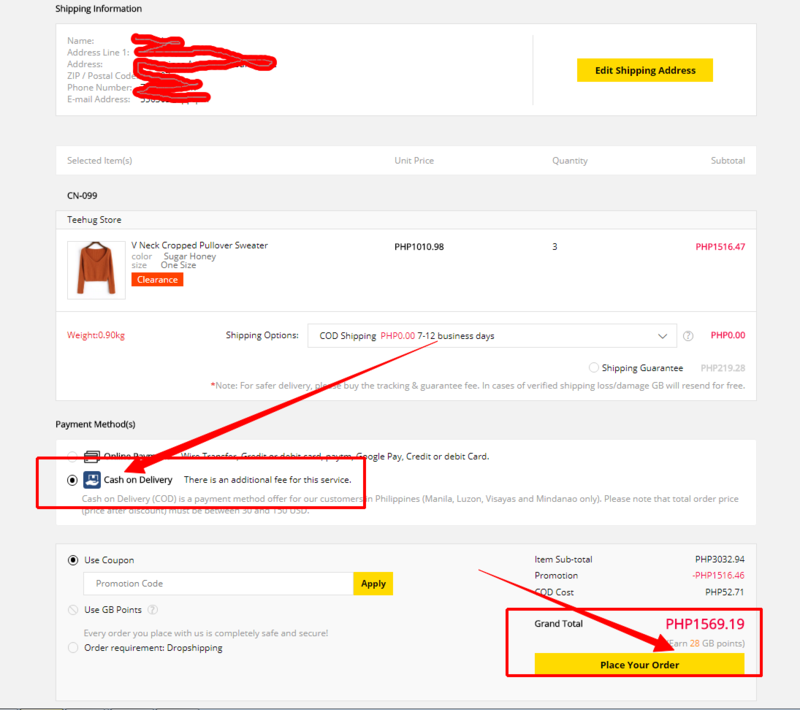 Step5: Choose the opion "Cash on delivery" and click the "Place Your Order" in the page payment. 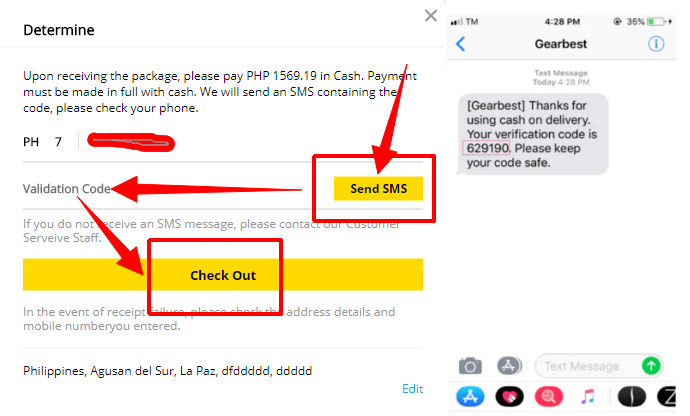 Step6: Click the botton "send SMS", and you will receive a verification message to complete your order, fill in with the code you received and click "check out". 2）The products you buy only have COD products. 3）Each purchase order must be between $30 - $150. 4）Customers who have 2 COD orders on the delivery cannot place the third COD order. 2. COD covered areas: Manila, Luzon, Visayas and Mindanao. 2. Click "proceed to checkout". ● The remote areas (out-of-delivery-area) are not covered. 4. Select "Cash on delivery" as your payment method. 5. Click "Place an order". Then the system will pop up the notification of sending verification code, click "Yes". 6. Input the verification code. If you don't receive the verification code, you can let the system resend it after 120 seconds. 1. If the product has quality problems, arrival damaged or is not what you ordered, you can contact our customer service by e-mail or live chat to apply for a refund. If the item arrival in good condition and you refuse delivery, you will not be able to use COD payment in the future. This refusal can also influence your credit history. If you have changed your mind, we recommend you contact us. If the item has not been shipped yet, we can help you cancel your order.